Führende Mitarbeiter und Technologieexperten von Cabot werden häufig als Redner zu Fachveranstaltungen auf der ganzen Welt eingeladen. Unsere Vertriebs- und Marketingteams nehmen an führenden Fachmessen und Konferenzen teil, um unsere neuesten Produkte vorzustellen. Wir freuen uns auf Ihren Besuch bei unserem nächsten Event. FeiPlastic is the largest space in Latin America for networking and presenting the latest trends and new product launches in the plastics sector. It is a prominent event with the most important names and brands in the market. Industry leaders and decision makers from the world’s largest battery organizations will convene at the 2019 BCI Convention + Power Mart Expo to make important, strategic business decisions. Experience the premier event focused specifically on the lead battery market in North America and take advantage of the chance to network with an exclusive and concentrated audience of senior executives from major battery manufacturers. 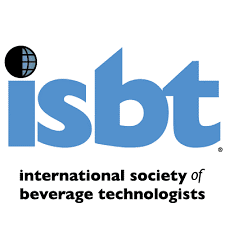 ISBT is the premier international technical society for the beverage industry with almost 700 members worldwide. ISBT’s mission is to enhance the promotion, development, and dissemination of beverage technology for the nonalcoholic beverage industry. Focus areas of activity include but are not necessarily limited to, beverage formulation, production, packaging, equipment, and distribution. The Battery Show Europe provides an unparalleled opportunity to source the latest design, production and manufacturing solutions from across the battery supply chain, including battery systems, materials, components, testing and recycling. This show is intended to offer educational and technical presentations to create a profound understanding of the theory, science, manufacturing and marketing of coatings to highlight the improvement of coatings performance and functionality beyond traditional expectations. The CIBF is a battery industry international regular fair, which is held biennially in China, and has become the largest battery fair in the world. CIBF includes exhibitions, a technical conference and procurement fair. The world's premier fair for the plastics and rubber industry will again be presenting everything the sector has to offer in 2019.